“The Golf Player” (1654), Rembrandt Van Rijn. A 20th/21st Century impression from the “Millennium Collection,” printed by master printer Marjorie Van Dyke. In the popular musical “Hamilton,” George Washington reminds the audience that no one has any control over “who lives / who dies / who tells your story.” That can be especially true for artists who, at the end of their lives, leave behind all of their artwork and often thousands of sketches, rough drafts, and works in progress. 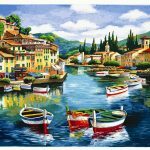 For some artists—particularly classical artists who lived before the era of estate planning and copyright law—their artistic legacy can often depend on whoever ends up with their works after they die. That was definitely the case for Rembrandt van Rijn. The creation of his “Millennium Collection” is a fascinating case study of how collectors can help posthumously shape an artist’s body of work. 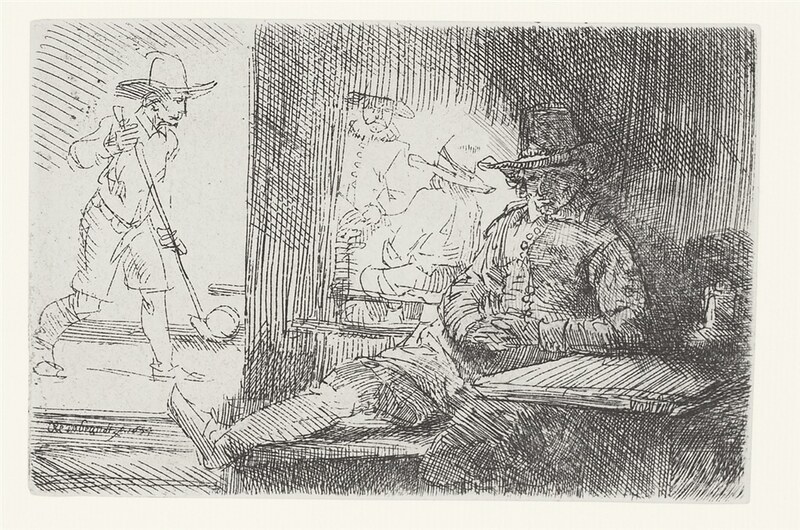 While Rembrandt’s paintings like “The Night Watch” are internationally famous, the artist is perhaps best remembered in the art world for his unrivaled contributions to the art of etching. He not only innovated how etchings were made, but he also experimented with altering the states of his etchings, allowing for a greater variety of imagery than had ever been previously thought possible. “The Raising of Lazarus: The Larger Plate” (c. 1630), Rembrandt Van Rijn. A 20th/21st Century impression from the “Millennium Collection,” printed by master printer Marjorie Van Dyke. 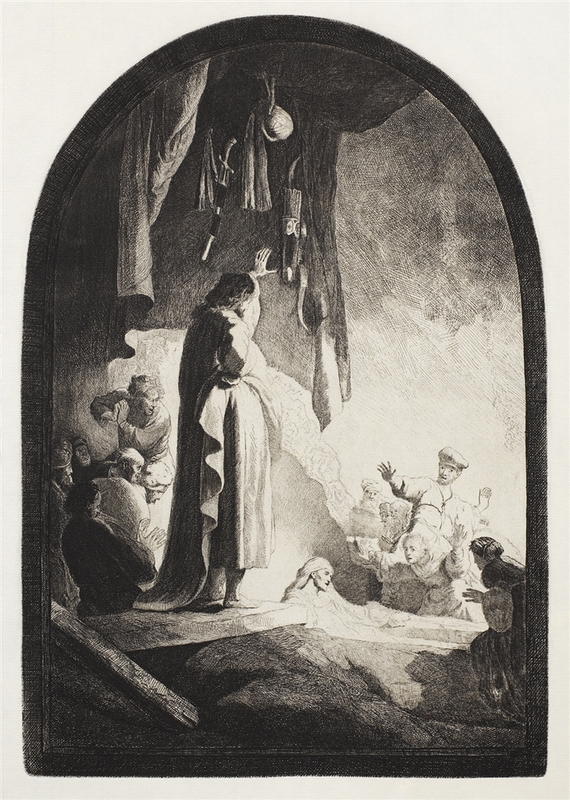 During his lifetime, Rembrandt created more than 300 etchings, engravings, and drypoints. However, after he died in 1669, there are few records of what happened to his remaining original etching plates that had not been previously canceled or destroyed. Most records suggest that only 82 of his 300-plus copper plates survived past his death. In 1677, there’s documentation showing that 74 of those remaining plates were housed in the estate of Clement de Jonghe, one of Rembrandt’s former art dealer friends. Sometime between 1677 and 1766, Pieter de Haan acquired that collection. In 1767, de Haan’s estate placed 76 Rembrandt plates up for auction—the additional two plates came from other sources. Sale records show that these plates continued to pass between different collectors throughout the years and, at various intervals, were published as posthumous impressions of Rembrandt’s artwork. “The Artist’s Mother with her Hand on her Chest” (1631), Rembrandt Van Rijn. A 20th/21st Century impression from the “Millennium Collection,” printed by master printer Marjorie Van Dyke. In 1993, the estate of Dr. Robert Lee Humber decided to sell the 78 original Rembrandt copper plates the doctor had previously acquired from Alvin Beaumont. Within two months, almost all of the plates were sold to a large number of private collectors, dealers, and museums, including six Dutch museums and the Bibliothèque Nationale in Paris. Eight of the plates from Humber’s collection were sold to Robert Light, a noted Rembrandt expert and art dealer in New York. He sold the plates just one year later to Howard Berger. 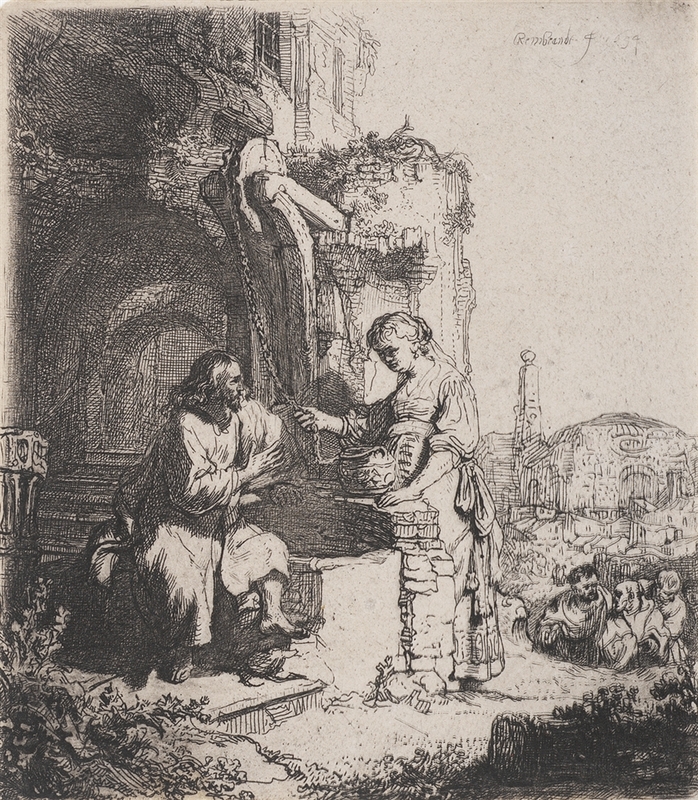 “Christ and the Woman of Samaria: Among Ruins” (1634), Rembrandt Van Rijn. A 20th/21st Century impression from the “Millennium Collection,” printed by master printer Marjorie Van Dyke. In 1994, master printer Emiliano Sorini was hired to lead the project and, with his protégé Marjorie Van Dyke, they researched suitable papers, inks, and printing methods. The Millennium Impressions would be a limited edition, with only 2,500 impressions of each image pulled over a 10-year period. The end result was a collection of beautifully printed etchings that all highlight the artist’s amazing vision and skill. The eight “Millennium” copper plates are now on display, along with a set of the etchings, at the North Carolina Museum of Art in Raleigh, from where Dr. Humber had originally lent them. 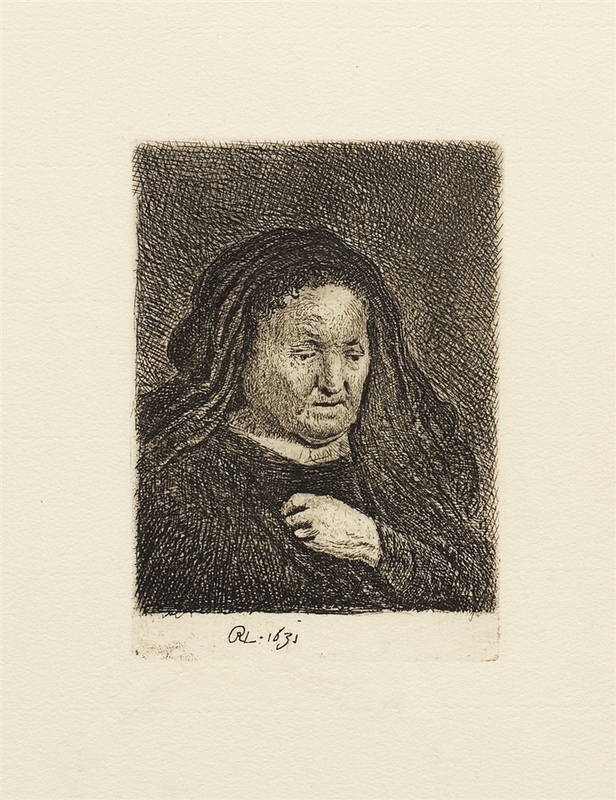 While Rembrandt may not have been able to control the ultimate fate of his plates—or who “told his story”—it is fortunate that works so important to his artistic legacy have consistently ended up in the hands of collectors who truly value the innovation and intricacy of his etchings. 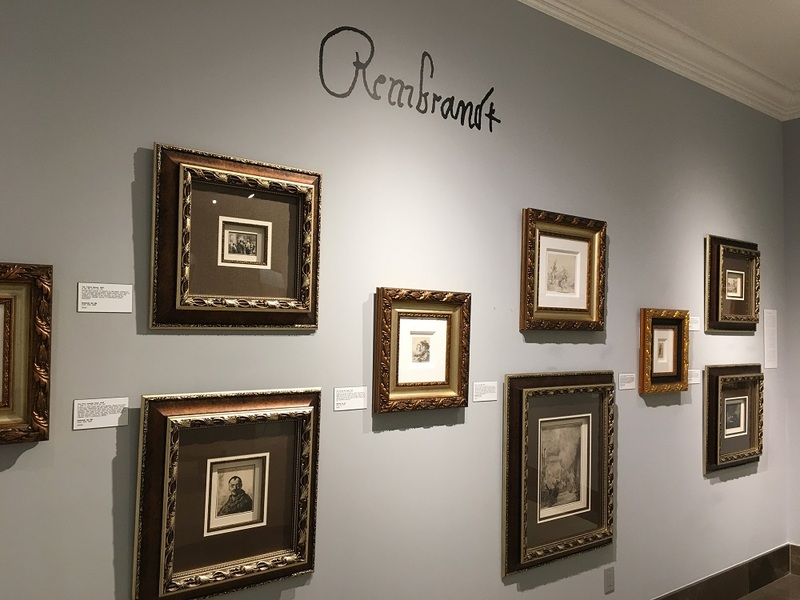 The Park West Museum in Southfield, Michigan has over 20 examples of Rembrandt’s remarkable etchings on display—including examples of all eight Millennium Impressions. For more information on visiting the museum, click here. 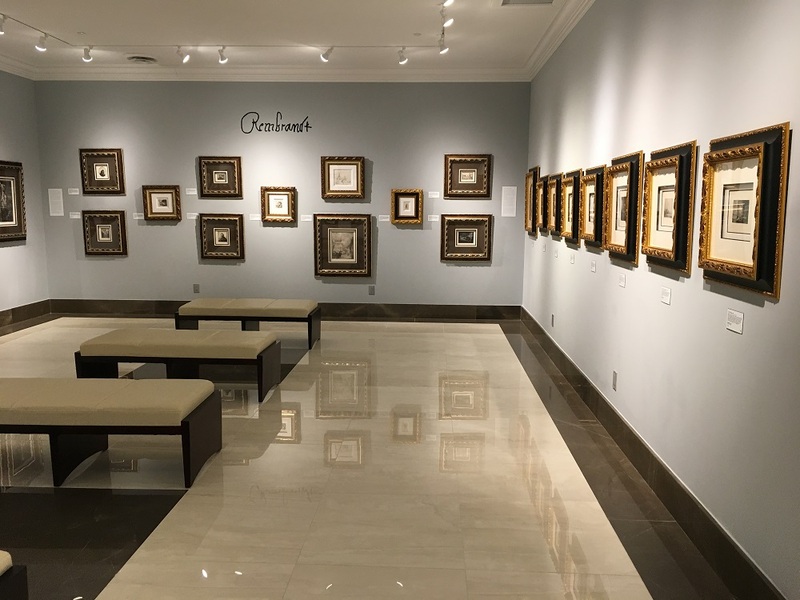 If you’re interested in collecting the works of Rembrandt van Rijn or another master artist, please contact one of our gallery consultants at (800) 521-9654 ext. 4 during business hours or email sales@parkwestgallery.com for inquiries after hours. how much would a mother with hand on chest cost?